Want to see a Makeup Box in action? Well you’ve come to the right place! 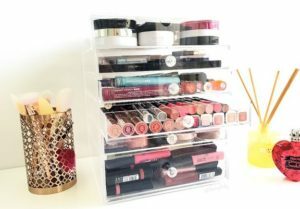 Sydney based Beauty Blogger, Livia featured the Flip Top Glamour Box on her blog recently and we thought you might want to check out her review and see how much makeup she’s able to store and keep organised! Check out her post here. As you can see in Livia’s post she loves lipstick and the Flip Top Glamour Box certainly can hold a lot of them! Pile your blush and bronzer compacts high in the flip top section. 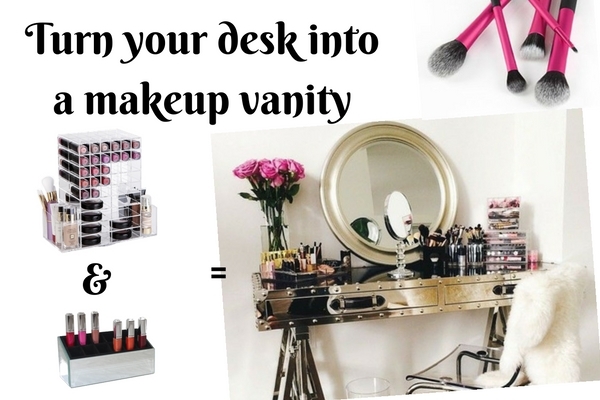 By flipping the lid all the way back you can stack things high or store your perfumes and foundation bottles in one organised easy to reach place! This is currently our largest makeup box measuring 30cm tall x 24cm wide x 24cm deep. We also offer this unit (and most other sized makeup boxes) in our Original (flat) handle. For all of the jewellery lovers out there we have designed this Jewellery Tray which you can insert into the flip top section. There is plently of space for your rings, earrings and those dainty necklaces and bangles that always end up tangled when stored in a drawer. Our Jewellery Tray is a great way to keep your sparkles on display and tangle free! Another handy addition to our Flip Top Makeup Boxes is our Blush Divider. Place this divider into the deepest (bottom) drawer and store your makeup compacts so you can easily see which colours and shades you have in one simple, organised place! Recreate Livia’s look with our Glamour Brush Holder. This piece is sure to add some bling to your bench and is a great way to keep your brushes neat and tidy in once place! For all orders over $40 we offer FREE tracked delivery within Australia. Got more questions? Feel free to chat to our online team or drop us an email if we aren’t online – we’d love to hear from you and be happy to help with any further questions you may have!